or prefered places your Hotel. A one-day guided excursion experience in Rome lasting minimum 3 hours or more BY CAR for individuals and groups of up to 5 people. Our guides are also graduates having obtained painting, dance, music or literature diplomas and are active artists working in Italy. 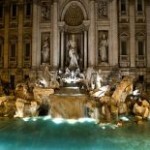 Excursion of main squares, fountains, churches and museums of Rome and others, selected for you. 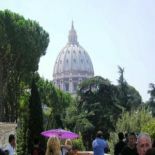 The tour includes short walks on foot for visits of monuments and stops for taking pictures and a lunch or a coffee break. The sequence of monuments and their choice will display a historical and artistic evolution of the Eternal City. 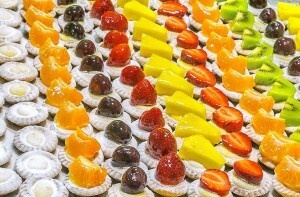 As well as a perfect overview of ​​the different types of styles in the arts of architecture and sculpture and painting. Many monuments, private art collections, entrances to palaces are offered exclusively by RUSRIM. 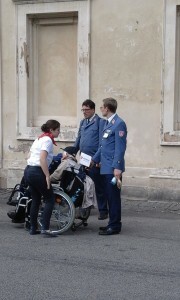 tour guides. PALAZZO BARBERINI The rise of the Barberini, one of the most powerful of the Roman papal families, is closely connected to the ecclesiastical career of Cardinal Maffeo Barberini, the ﬁarure Pope, who was elected with the name Urban VIII in 1623. The family’s prestige in the papal city was from that moment secured and culminated in the construcrion in the grand style of the palazzo, which was to become one of the most admired in Rome at the time. Some of the main artists of the age were involved in the building and decoration of the prestigious residence: Carlo Maderno, Gian Lorenzo Bernini and Francesco Borromini sought to outdo each other in a contest of elegance. 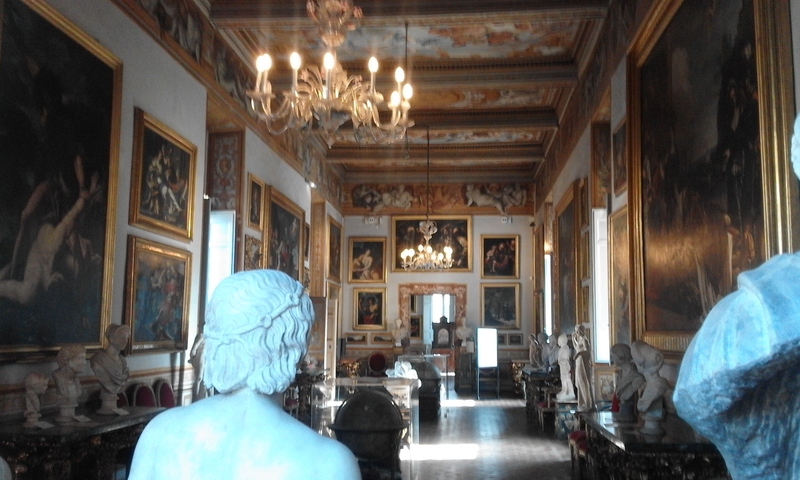 as did Pietro da Cortona and Andrea Sacchi in their paintings for the palazzo. Everything, from the architecture to the magnificence of the frescoes and interior Furnishings had to reﬂect the authority and afﬂuence of the line which had chosen this way of leaving an indelible mark on the heart of the city. In 1629, the year in which Maderno died, the palazzo had however only just been begun, so the building was then entrusted to Gian Lorenzo Bernini. 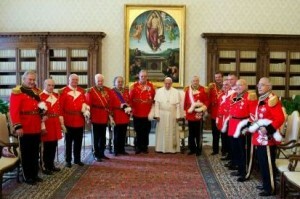 the oﬁ‘icial artiSI par excellence of the Barberinian court. He saw the construction through, collaborating at first with Francesco Borromini, in whose hands, according to Baldinucci, Maderno had left «the entire care of the palazzo» and who, Still in the words of the biographer did «all the designs for the said building». One of the most elaborate residences of Baroque Rome, and a reﬁned theatre for the sumptuous feaSts organised by the family, grew from the meeting ofthese three masters. For inStance, on the evening of the 28 February 1656, the Cavallerizza courtyard, on the North side of the building and now part of Via Barberini, was host to a marvellous entertainment given in honour of Cristina of Sweden: a colourful merry-go—round with an elegant parade of carriages and ephemeral displays devised by Giovan Francesco Grimaldi, the family scenographer, and a Fesrive throng. Thanks to its original elongated form. 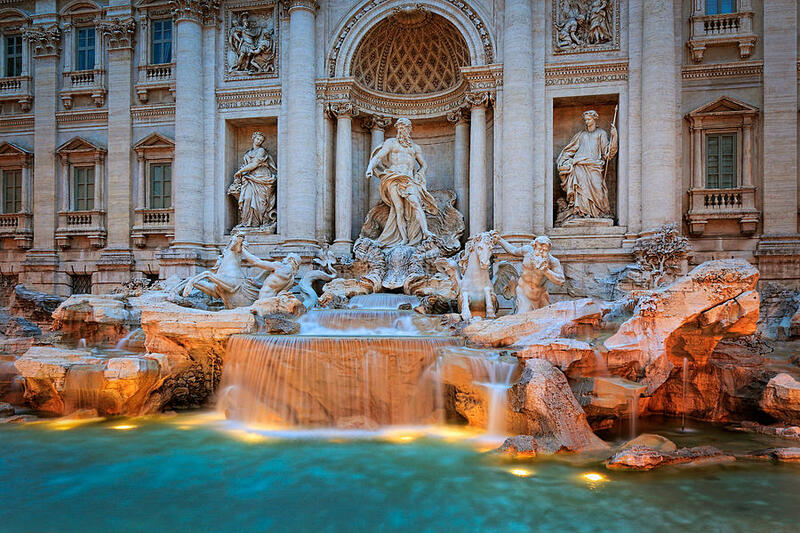 Piazza Navona deserves a foremost place among Rome’s numerous hiStorical piazzas. 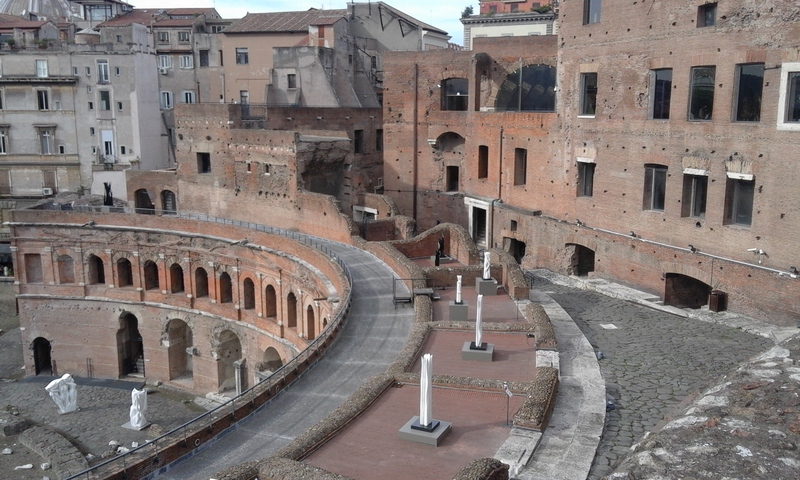 Built on the site of the former Domitian Stadium, it traditionally accommodated the market and popular shows. 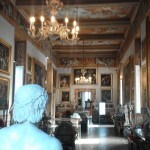 During the 17th century it became the city’s salon, partly because of the presence of Palazzo Pamphilj, and it was embellished with further monuments and buildings. These enhance the spatial homogeneity which is owed to the regularity of the architecrural features packed into the unbroken ranks of walls and facades, and to the chromatic unity. A result of the urban plans For the piazza under the patronage of Innocent X Pamphilj, who was responsible For the complete reorganisation ofthc area and the demolition of some blocks, was the concave facade of Sant’Agnese. The work of Borromini, it merges with the walls surrounding the piazza, copying the essential arehitecrural morifs and presenting an emblematic example of dynamic integration between the building and the space in front of it, which acts as an cxrension to the church and seems to disappear into it. In the l yout of the piazza, a role of no lesser importance is played by the three fountains which serve to break up the huge horizontal space into four distinct areas. The focus is the symbolic and actual centre of the Fontana dei Quattro Fiumi (Fountain of the Four Rivers), the work of Gian Lorenw Bernini. 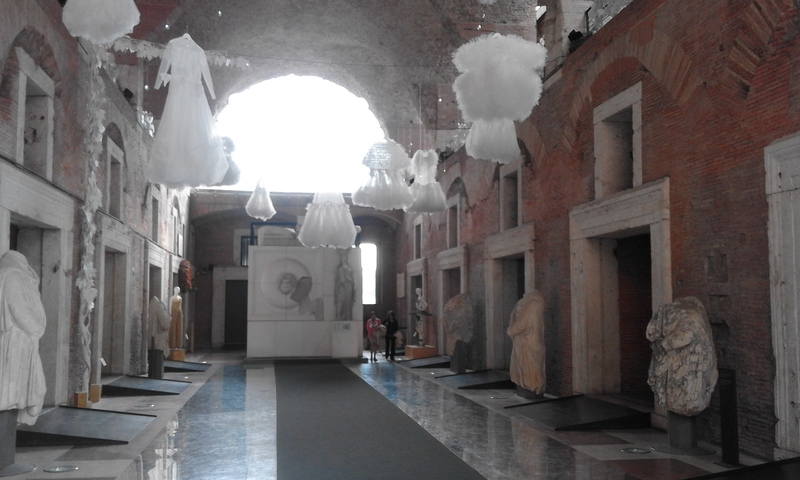 It is a spectacular allegory of the worldly presrige of the Pamphilj: an aerial «natural grotto». The four springs of faraway rivers spout from it and it is studded with exoric plants and animals. It acts as a base for the Egyptian obelisk crowned with a clove. the symbol of the Pamphin and the Holy Spirit. 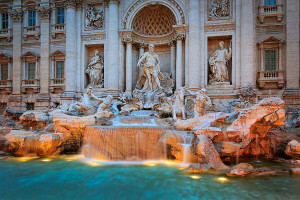 The Fontana di Trevi, a happy and successful marriage of classicism and baroque, was planned as an exhibition of the Acqua Vergine by Nicola Salvi under the patronage of Clement XII. 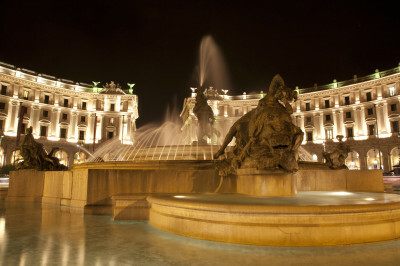 Pope Urban VIII Barberini had already instructed Gian Lorenzo Bernini to «transform» the piazza and the fountain. but the project was never carried out. Set along one side of Palazzo Poli, the Fountain, which was made by Nicola Salvi between 1732 and 1763, represents an original and imaginative fusion, in the Berninian Style, of architecture, sculpture and the natural elements which contribute to the Fountain’s unique character. The theme of the sculpture is the sea. The design is dominated by a charior in the form of a shell in which the great statue of Neptune by Pietro Bracci stands, ﬂanked in the side niches by Health and Plenty, the works of Filippo Della Valle. The charior is pulled by marine horses. who are in turn preceded by tritons. The marine divinities are placed on rocks of irregular blocks of travertine. 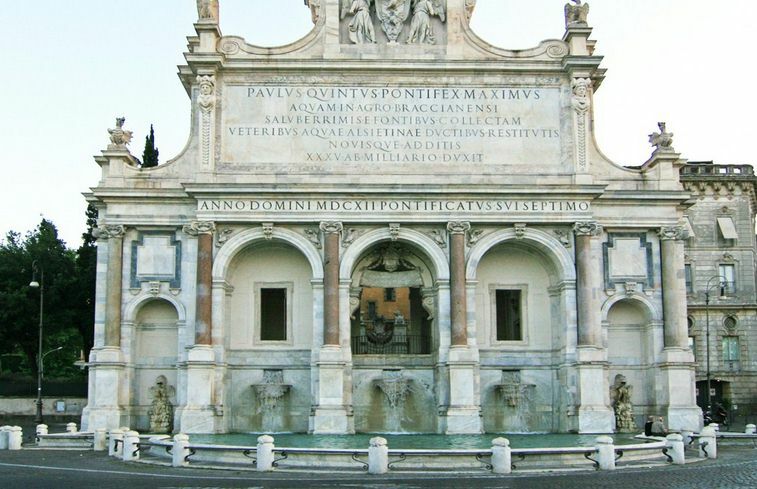 The fountain sprawls below the facade of the palazzo behind it, which is in rigidly classicising Style, based on the triumphal arch model, with further sculptures in niches as well as in the attic storey and an elegant balustrade. The surrounding houses crowd round the splendid monument, giving the impression of an amphitheatre, while the noise of the fountain’s water can be heard From the maze of surrounding streets up to the moment when the snow-white scene appears miraculously before the astonished eyes of the visitor. The inhabitants of Rome must have appreciated the building of the big amphitheatre in the centre of the valley, which had previously been the site of the artificial lake made for Nero. The Judaic war, which had ended in 70 AD with the destruction of the temple of Jerusalem, provided the boory and the manpower needed for the consrruction of the building. It was Vespasian’s son, Titus, who inaugurated the amphitheatre in 80 AD, with a memorable gala and games lasring 100 days. 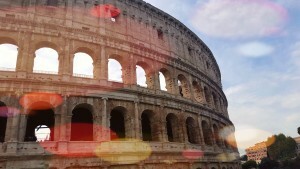 The Flavian Amphitheatre was superior in dimensions and monumentaliry to all those previously built. 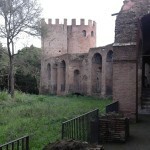 It was 52 m high, like the northern side near the Via dei Fori lmperiali, which is still intaCt. The whole of the external wall was faced with marble slabs and decorated with statues in the arcades, and bronze shields hung From the attic storey windows. The organisation of the internal seating was Strictly governed by the laws eStablished by Augustus, through which spectators were seated according to their social class. 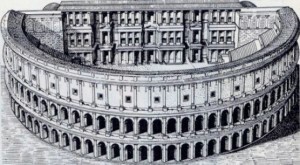 The Colosseum was furnished with a sophisricated system of drains which fed the baths and numerous fountains required to keep the vast audience cool. In the amphitheatre there were various kinds of entertainment: ﬁghts between pairs of gladiators, hunts involving wild and exotic animals, naval battles and capital punishment executions by exposure to wild beasts, which were also suffered by Christians during periods of persecution. PANTHEON The Pantheon is stituated in the Roman Regio (quarter) 1X, corresponding to Campus Martins. According to legend, Campus Martins used to belong to the Tarquins and was a marshy area. 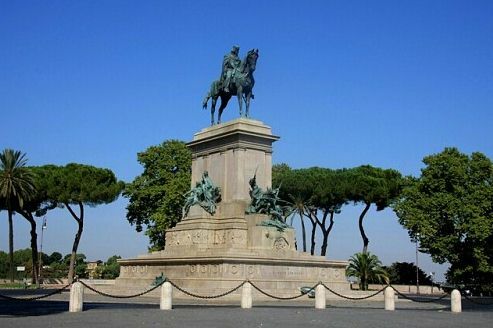 When the last Etruscan king was expelled from Rome in 509 BC, the year the Republic was founded, the area became public. 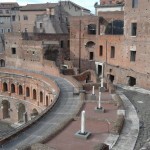 Augustus began ﬁlling the central area of Campus Martins with monuments and rebuilding the buildings in the Circus Flaminius area. 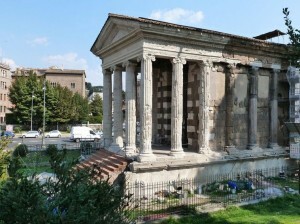 The temple — dedicated to all the gods — was intended to be a symbol of the Emperor Augustus and therefore of his family, the gens Iulia. 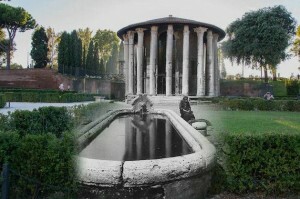 The Pantheon is stituated in the Roman Regio (quarter) 1X, corresponding to Campus Martins. According to legend, Campus Martins used to belong to the Tarquins and was a marshy area. 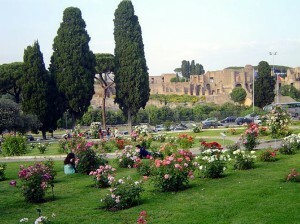 When the last Etruscan king was expelled from Rome in 509 BC, the year the Republic was founded, the area became public. Augustus began ﬁlling the central area of Campus Martins with monuments and rebuilding the buildings in the Circus Flaminius area. The temple — dedicated to all the gods — was intended to be a symbol of the Emperor Augustus and therefore of his family, the gens Iulia. 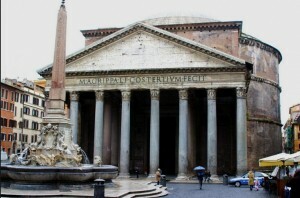 The Pantheon owes its current appearance to the restrueturing conducted by Hadrian between 118 and 125 AD. This maintained the blueprint of the previous construCtion. except where the level of the base was raised and the width of the pronaos reduced to eight columns. 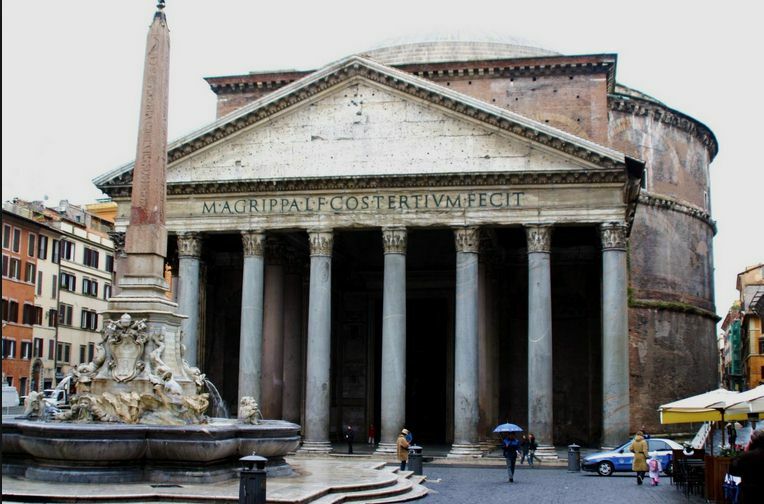 The inscription on the architrave referring to the building of the temple by Agrippa was retained by Hadrian, who never had his name inscribed on any of the monuments he built, with the exception of Traian’s temple. A second inscription in smaller letters records the restoration by Septimius Severus and Caracalla in 202 AD. 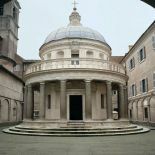 In 609 AD the Byzantine Emperor Foca gave the Pantheon to Pope Boniface 1V, and the temple was changed into the Chiesa di Santa Maria ad Martyres. A ﬂight of steps led up to a large portico with eight monolithic granite columns with white marble capitals and bases. Two more rows of four columns formed the three aisles. The monumental bronze door is probably original. although it has been restored many times. The dome is the largeSt one built prior to the 20th century; it measures 43.30 metres in diameter and was built using a huge wooden framework. The use of layers of concrete alternated with tufa and pumice served to lessen the weight ofthe huge structure. 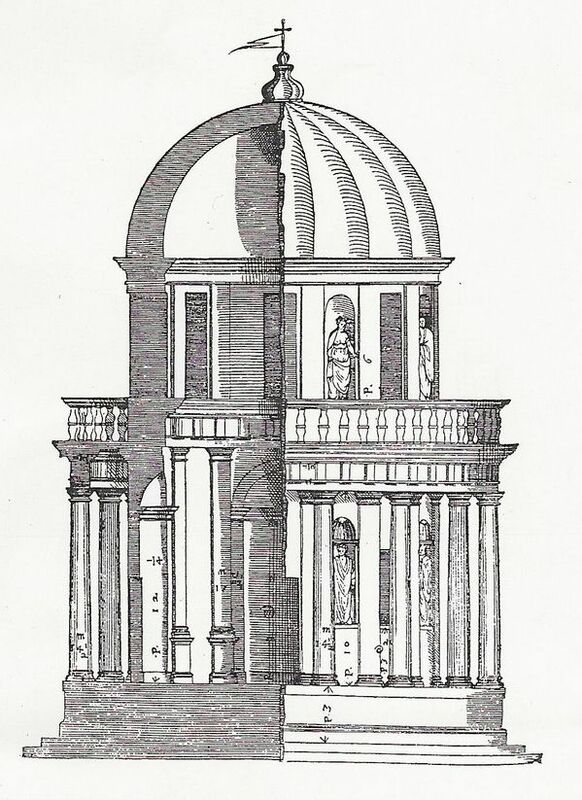 The height of the temple from the floor to the top of the dome is equal to the diameter of the latter, meaning that a sphere could ﬁt into the interior, so that there is a perfect balance in the building’s proportions. On the inside the dome is adorned with ﬁve rows of coﬂ‘ering which were probably originally decorated with gilded bronze elements. The Roman aristocratic families had built their sumptuous dwellings here, near the two thermal centres. The crypt of Santa Sabina bears the traces of their hermitages or little fraternal community, which was given hospitality in the house of a Roman matron, Sabina, who had been converted to Christianity by her slave Serafia and who was subsequently decapitated during the Empire ofVespasiano. 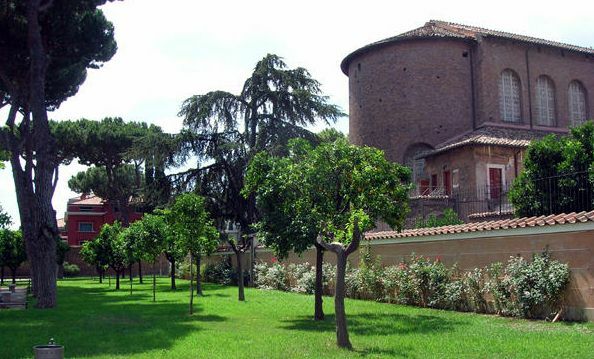 Later, in the Early Middle Ages, the Aventine was selecred by monks and the religious as the seat of their hermitages or little Fraternal communities. In this context, from the fifth century onwards, one of the most imposing Palm-Christian basilicas of the city sprang up. The fourth century ﬂoor of the Former domus is all that remains ofit, and it can be viewed through a grating near the entrance to the basilica, but many pieces ofwalling lie beneath the right aisle. 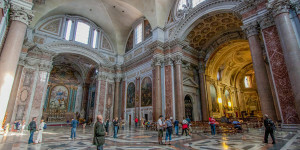 The basilica was built in the ﬁfth century and dedicated to San Domenico in 1222. 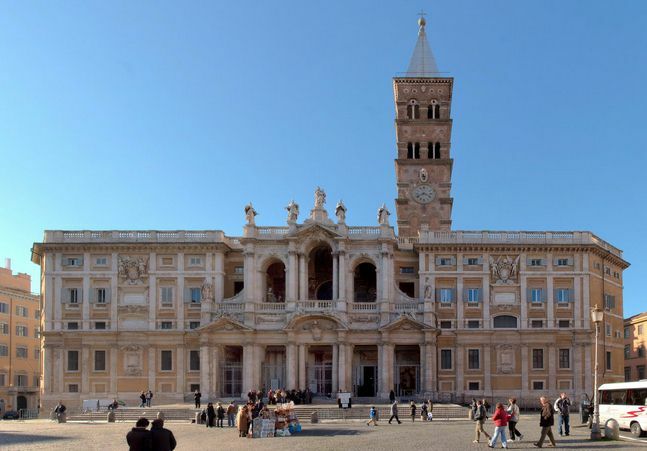 Some restoration work was carried out in the 15th century, but it was the alterations by Domenico Fontana in 1587, at the time of Sixtus V, and Francesco Borromini in 1643, which would change the interior of the basilical complex fundamentally. Domenico Fontana demolished the trim/a cantorum, the conostrm’: and the riborium, introducing the main altar and large baldacchino. – Rome rose garden – Giardino delle rose – Over 1100 varieties of roses are grown there, many of them gifts from countries around the world. 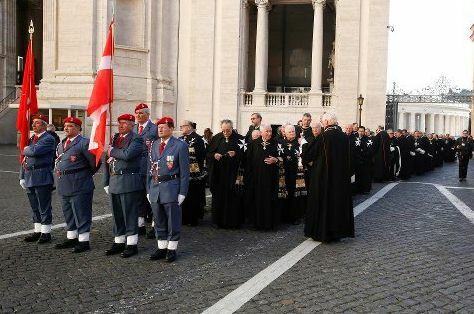 Order of Malta square – Sovrano militare ordine di Malta Roma – Piazza Cavalieri di Malta – Sovereign Military Order of Malta (SMOM) or Order of Malta is the modern Rome-based continuation of the medieval Knights Hospitaller. 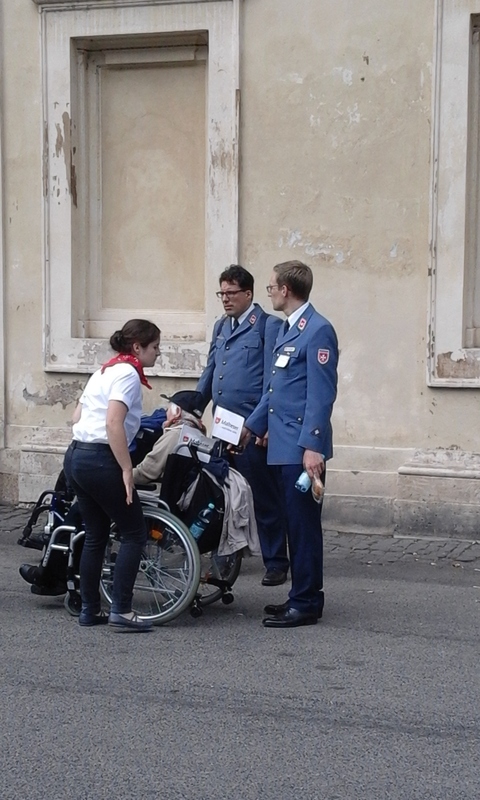 The entity retains sovereignty under international law, including permanent observer status at the United Nations, issuing its own passports, currency and postal stamps with the Maltese cross insignia. 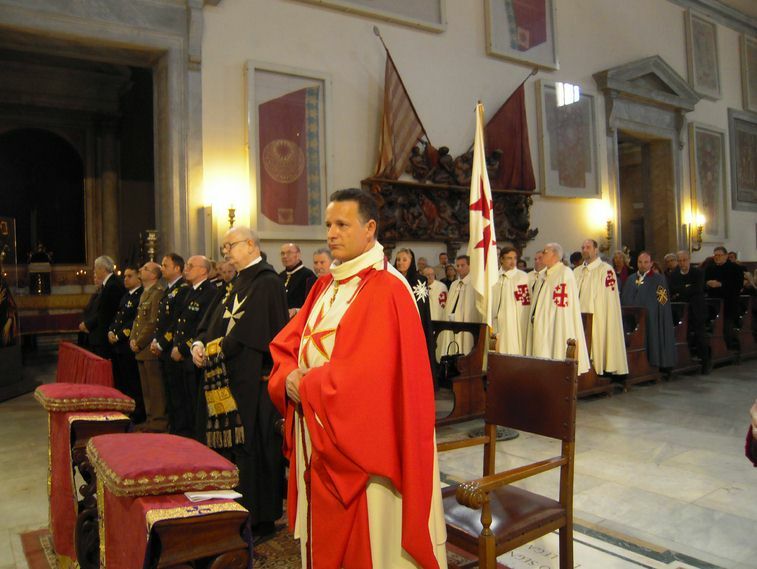 In February 2013, the order celebrated its 900th anniversary as a sovereignty entity by recognition on 15 February 1113 of the Papal bull Pie Postulatio Voluntatis, issued by Pope Paschal II. The celebration included a general audience given by Pope Benedict XVI and a Holy Mass celebrated by Vatican Secretary of State Cardinal Tarcisio Bertone at Saint Peter’s Basilica. It takes its name from the Palazzo Venezia, built by the Venetian Cardinal, Pietro Barbo – later Pope Paul II , alongside the church of Saint Mark, the patron saint of Venice. 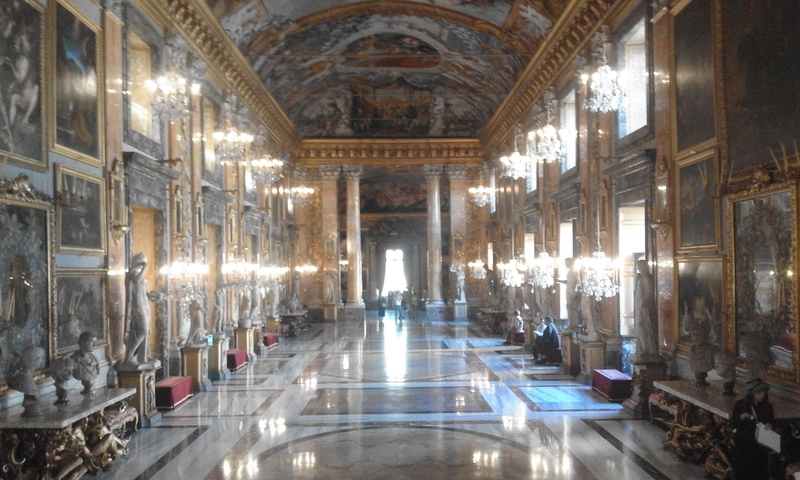 The Palazzo Venezia served as the embassy of the Republic of Venice in Rome. Colonna Traiana – Trajan’s Column – Roman triumphal column that commemorates Roman emperor Trajan’s victory in the Dacian Wars. 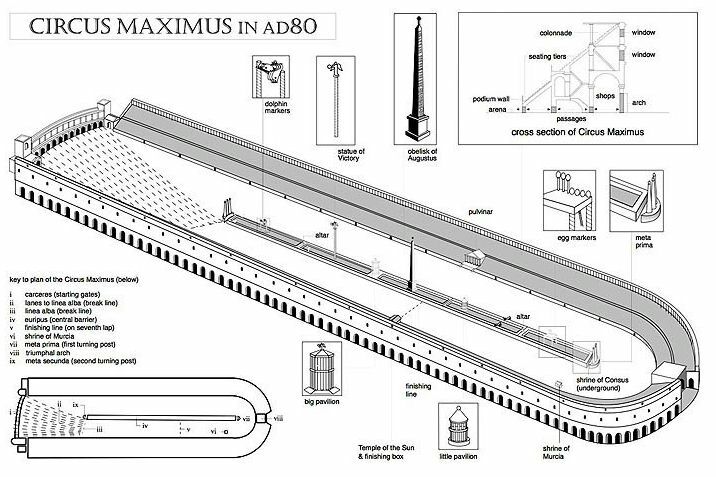 It was probably constructed under the supervision of the architect Apollodorus of Damascus at the order of the Roman Senate. The column decorated with historical scenes is a form of monument particular to Rome, and was introduced for the first rime in Trajan’s forum by the architect Apollodorus of Damascus. 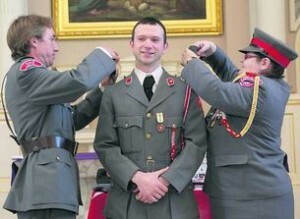 who was in charge of the whole pro jcct. The reliefs carved on the column arc presented in sequence, winding round the shaft up to the top, as a narrative tale, in celebration of the feats and triumphs of the Emperor. 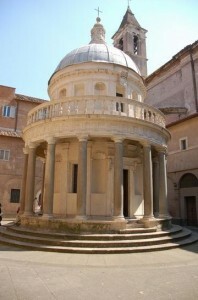 The column was dedicated to Trajan in 113 AD by the Senate and the people of Rome, in the forum bearing the same name. The height of the monument (about 40 m) matches the one on the hill. which was dismantled when the complex of the Markets and the Forum was built, as the inscription on the base of the column states. The top of the monument was crowned with a bronze statue of Trajan which has not survived; it was replaced by one of Saint Peter in 1588. 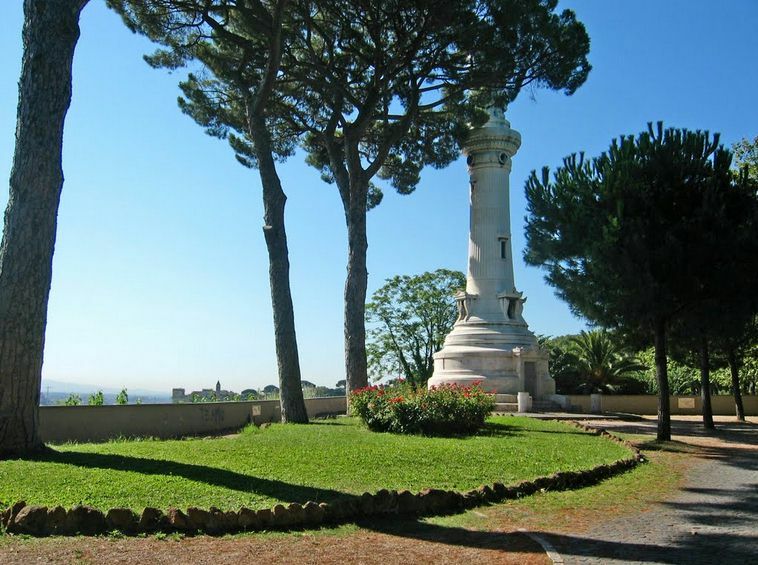 The base is in the form of an altar similar to the funerarv altars of the Republican Age, and it served as a tomb for the Emperor; Trajan’s ashes were kept in a gold urn placed in the burial chamber inside the base of the column. Here there is a hail leading to a spiral staircase made of marble, with 1 85 steps leading from the base to the top of the monument. 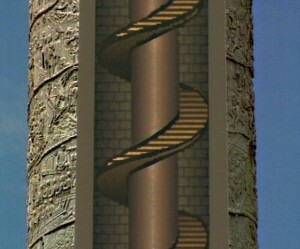 Termed a cochlite column, like that of Marcus Aurelius, due to the presence of a spiral within the shaft, it was conceived by Trajan’s architect. Apollodorus of Damascus. On the outside, the long spiral frieze recounts the two Dacian campaigns with a figure of Victory writing on a shield separating them, but no attempt to create a link between them. The crossing of the Danube by the Roman army on a bridge of boats marks the beginning of the wars, and there follow battles, sieges, the setting up of encampments, the placing of troops and the submission of the indigenous chiefs to the Emperor. 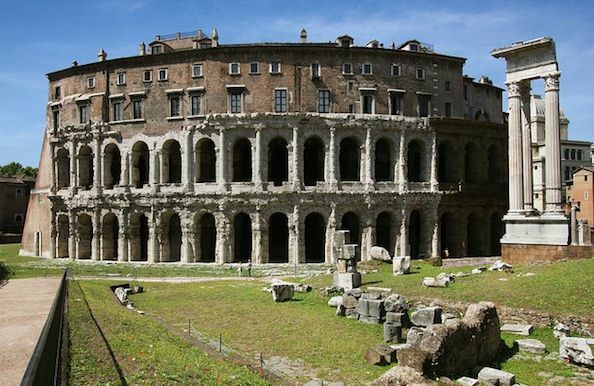 Mercati di Traiano – Mercatus Traiani – Trajan’s Market was probably built in 100-110 AD by Apollodorus of Damascus. The huge architecrural complex of the forum and Trajan’s Markets was until late antiquity considered the most famous of Rome’s wonders. 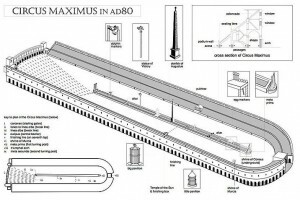 The impressive projecr was attributed to Apollodorus of Damascus, a Syrian architecr. who worked mainly under the Emperor Trajan, in the F: rst half of the second century AD. This architect, one of the few artisrs of whom records survive, Fused and reworked the Fundamental principles of Hellenistic and Roman architecture. The Markets, which were designed at the same time as Trajan’s forum, are set on the slopes of the Quirinale. with a series of superimposed terraces. 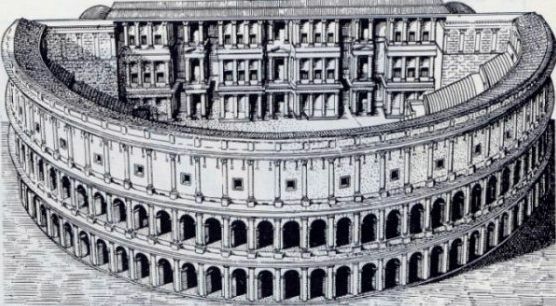 The removal of part of the hill, to a height equivalent to that of Trajan’s column, had made space for the creation of a piazza (square) in the grand style. 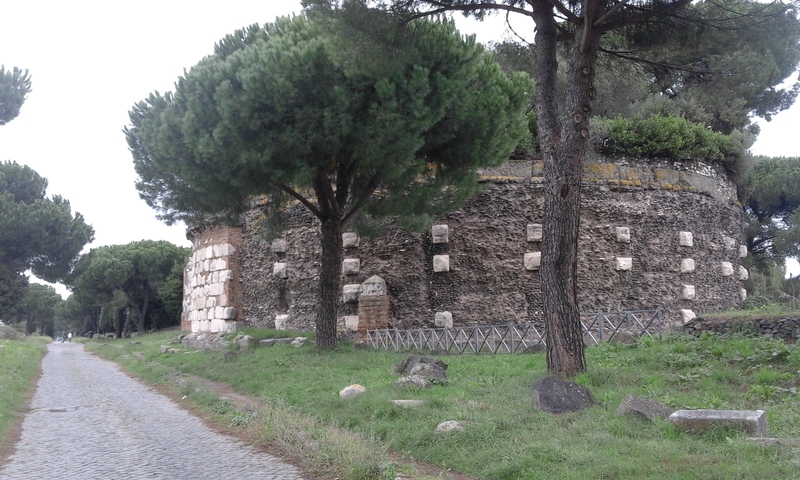 The complex, which was designed for commercial and storage use, is articulated on dilTerent levels, and its facade consisrs of a large exea’ra (curving wall), which includes the Forum’s eastern side, with eleven tabernae (booths) facing it. Campidoglio hill – Piazza del Campidoglio and Michelangelo square- It was the citadel (equivalent of the ancient Greek acropolis) of the earliest Romans. The Piazza del Campidoglio, with the long flight of steps leading up to it, is both the political and physical heart of the city. 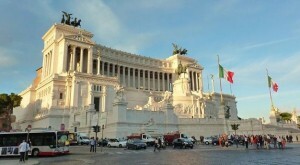 Is was designed in its monumental setting by Michelangelo in 1536, under the patronage of Paul III Farnese. It arguably represents the most perfect translation of the concept of the piazza as an autonomous urban space in 16th century culture. 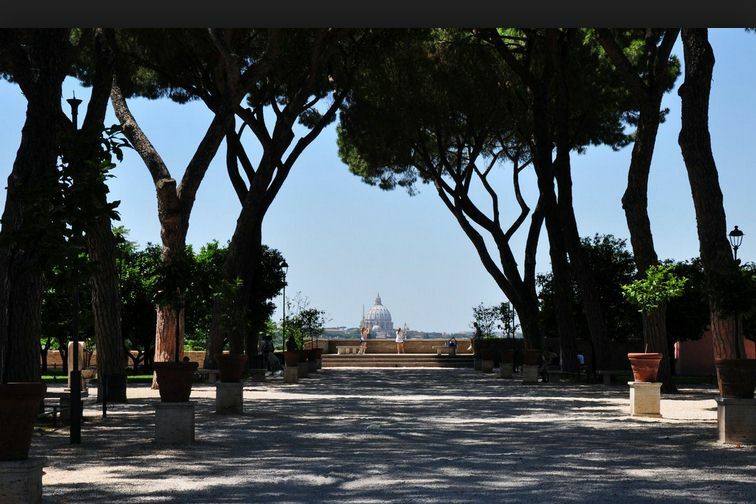 Ina masterly reinterpretation of the classic concept of the piazza, Michelangelo reversed the outlook, which had until then been oriented towards the Roman Forum, placing the statue of Marcus Aurelius in the middle to face Saint Peter’s Basilica. As background, he devised the complete rebuilding of the medieval Palazzo Senatorio, which rose above the ruins of the former Tabularium, and the side wings, made up of the Palazzo dei Conservatori and the Palazzo Nuovo. The latter were completed according to she artist’s plans respectively in 1568 and 1655. Uprooted and set obliquely, they endue,/ the piazza with a greater sense of space, and enhance the per4pective and theatricality. 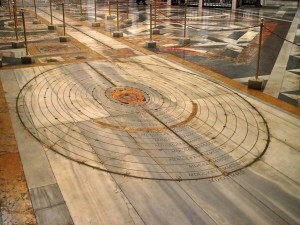 The geometric star design oldie paving, which was implemented in 1940 by Antonio Munoz based on the plans left by Buonarroti, also emphasises the centrifugal, dynamic dimension of the whole. The robust and imposing plasticity of the architecture adds to the sober stateliness of this area. The façade of Palazzo Senatorio eras adapted from the Michelangelesque plan by Giacomo Della Porta and Girolamo Rainaldi, with its entrance facing the piazza, characteristic double flights of steps, stucco facing and row of gigantic Corinthian pilaster strips. The balustrade looking out over the city, with its monumental Dioscuri, was also conceived to complement the piazza, and was modified by Della Porta in 1585. Piazza della Bocca della Verità – The square lies in the ancient area of the Forum Boarium, just in front of the Tiber Island; it takes its name from the Bocca della Verità. 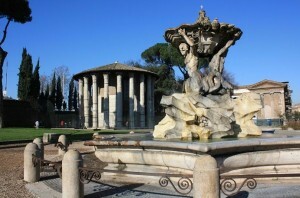 The fountain in front of the two temples, called Fountain of the Tritons, released by Carlo Bizzaccheri. 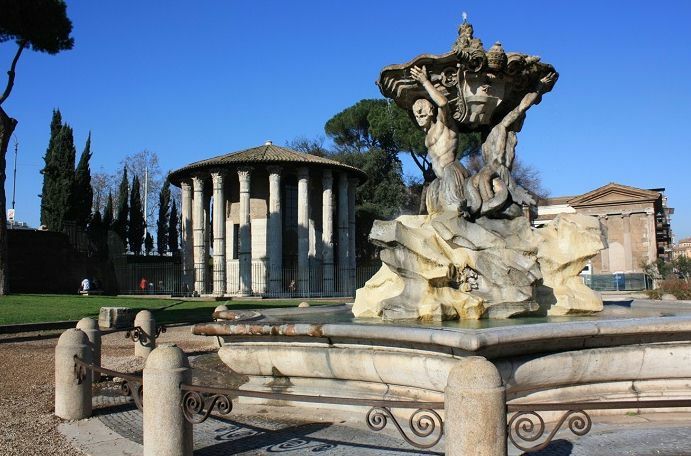 Besides the church, dating back to the late Middle Ages, the square houses the Arcus Argentariorum, the Arch of Janus, the Temple of Hercules Victor and the Temple of Portunus, a deity related to the ancient river harbour. 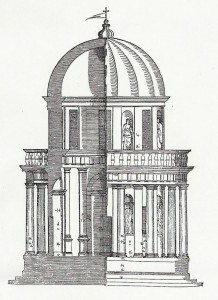 Its Ionic order has been much admired, drawn and engraved and copied since the 16th century (see illustration, right). The temple owes its state of preservation from its being converted to use as a church in 872 and rededicated to Santa Maria Egyziaca (Saint Mary of Egypt). 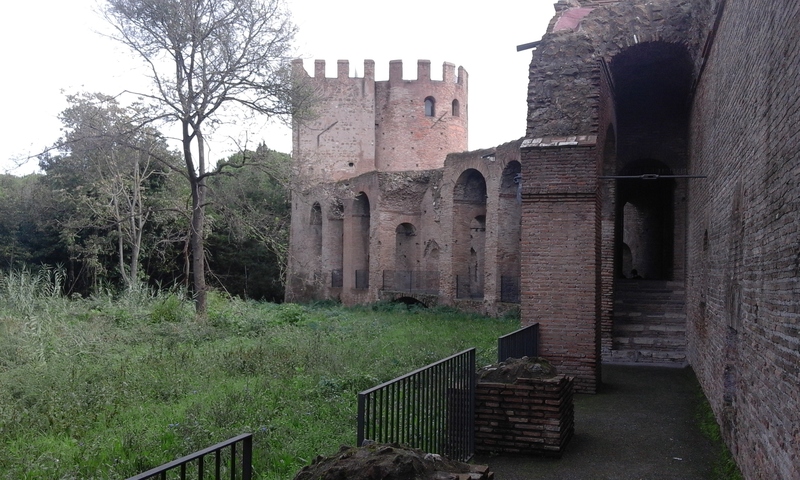 Dating from the later 2nd century BC By 1132 the temple had been converted to a church, known as Santo Stefano alle Carozze (St. Stephen ‘of the carriages). 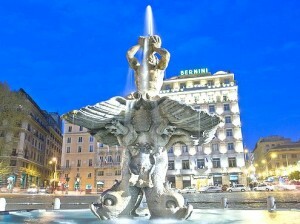 – This fountain should be distinguished from the similarly named nearby Triton Fountain (Fontana del Tritone) by Bernini. 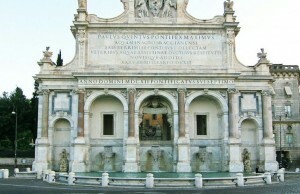 The fountain was completed in 1715 by architect Carlo Francesco Bizzaccheri, during the works for the accommodation of the square in front of the basilica. 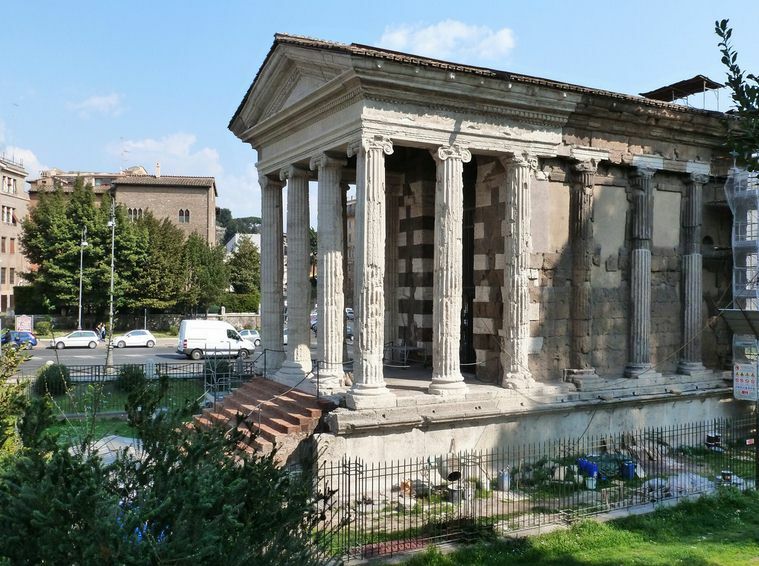 Built on the top of the Gianicolo, the tempietto (little temple) was commissioned by the King of Spain to consecrate the place in which, according to medieval tradition, Saint Peter, the martyr, founder of the Christian Church and ﬂat pope, had been cruciﬁed. 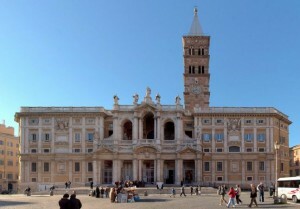 The young architeCt Bramante conceived it as a genuine martyrium in antique style. with a central plan and a circle of perimeter columns. The building must have been placed in a large square, which, however. was never built. In spite of the reduced size, the space has been planned in grandiose, monumental Style. It is evidently based on the study of the rules of harmony of the Roman Vitruvius, who advised the use of the Doric order of columns for buildings dedicated to masculine divinitics or mythological ﬁgures famous for their sum and courage. The architeCt Bramante did in Fact use the Doric order for the tempietto. giving it an air of rigour and economy, which is also due to limited use of excessive decoration and the sober harmony of the volumes. It was built in 1612 to mark the end of the Acqua Paola aqueduct, restored by Pope Paul V, and took its name from him. 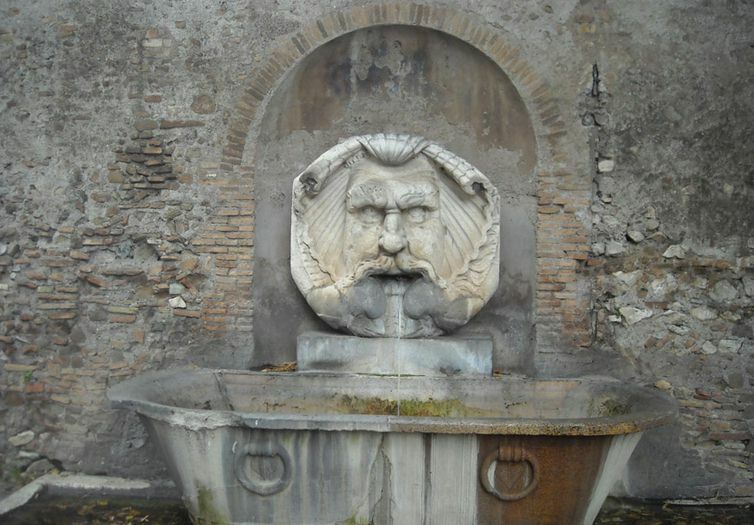 It was the first major fountain on the left bank of the River Tiber. 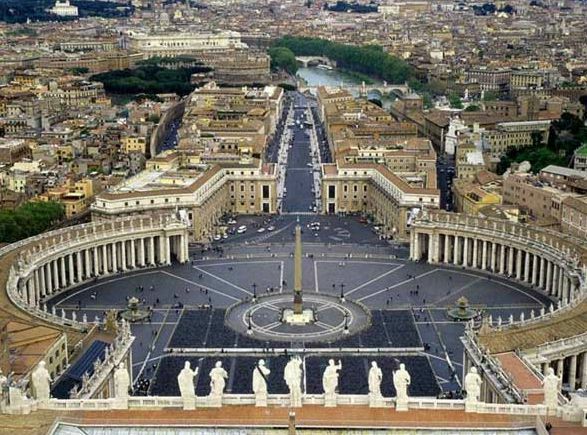 – San Peter square and basilica San Pietro The open space which lies before the basilica was redesigned by Gian Lorenzo Bernini from 1656 to 1667, under the direction of Pope Alexander VII. 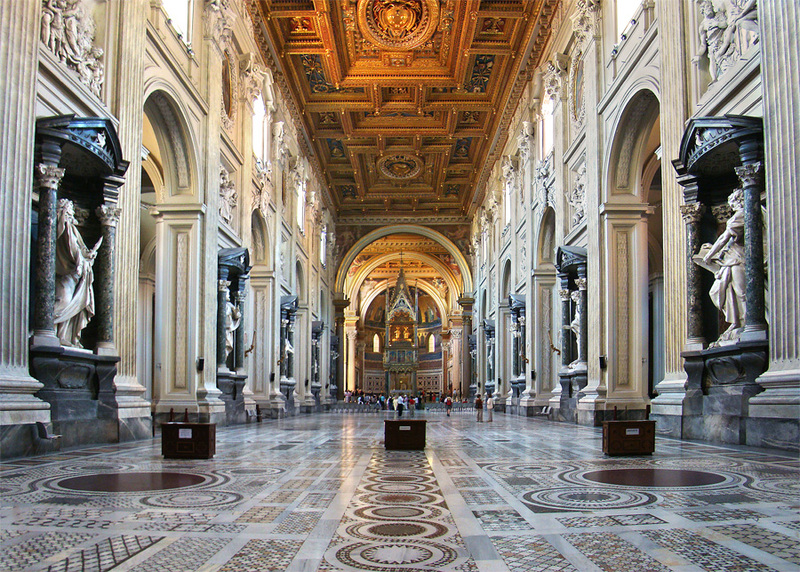 The colossal Tuscan colonnades, four columns deep, frame the trapezoidal entrance to the basilica and the massive elliptical area which precedes it. At the center of the ovato tondo stands an Egyptian obelisk of red granite, 25.5 metres tall, supported on bronze lions and surmounted by the Chigi arms in bronze, in all 41 metres to the cross on its top. 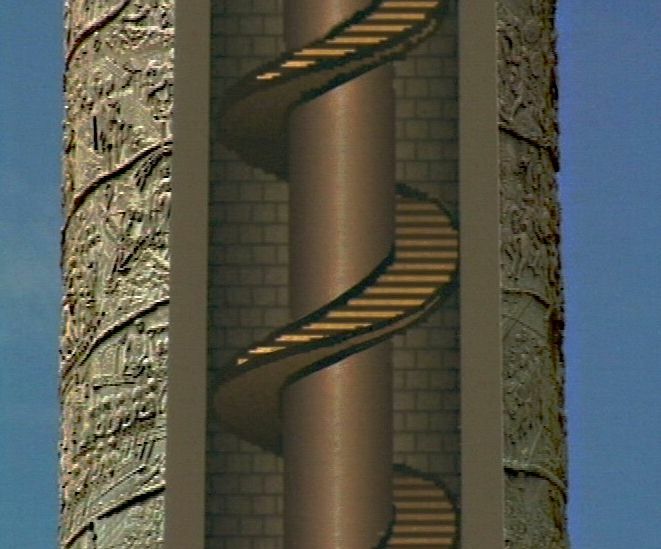 The obelisk was originally erected at Heliopolis, Egypt, by an unknown pharaoh. During the Middle Ages, the gilt ball on top of the obelisk was believed to contain the ashes of Julius Caesar. 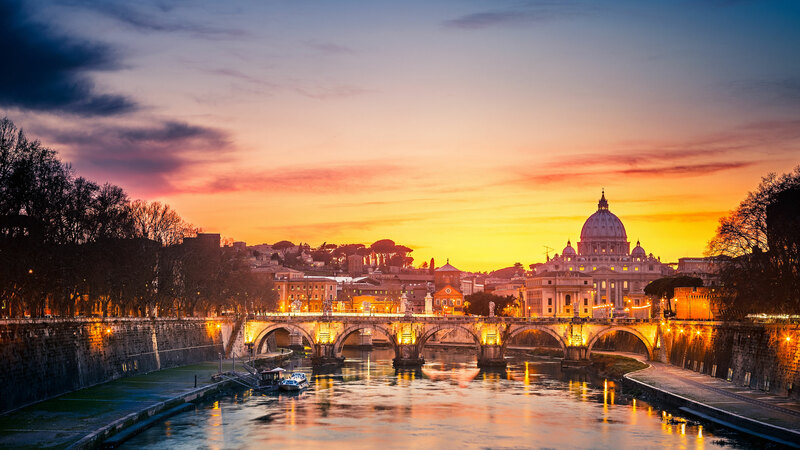 Within Vatican City are religious and cultural sites such as St. Peter’s Basilica, the Sistine Chapel and the Vatican Museums. 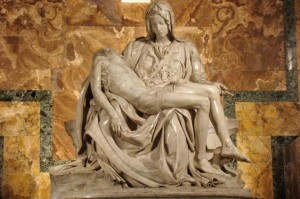 They feature some of the world’s most famous paintings and sculptures. The unique economy of Vatican City is supported financially by the sale of postage stamps and tourist mementos, fees for admission to museums, and the sale of publications. In 1498 Cardinal Bilhe’res de Lagraulas. Abbot of San Dionigi and Ambassador of Charles VIII. gave Buonarroti the commission for the very famous sculptural group, which was to be placed in the chapel of Santa Petronilla in the ancient Basilica of Saint Peter. The same patron asked the artiSt to follow a northern iconographic model of the Virgin holding the body of her son in her arms after the deposition from the cross. As opposed to the composition of the German original, frozen in an unnatural scheme. Michelangelo. however, preferred to create an image of extreme naturalness, with soft, ﬂuid lines. It is the only work signed by him, on the sash which crosses the Virgin’s breasr. The signature, according to Vasari, indicated the pride of the artist in his achievement. The lyrical intensity of the work. the refined smoothness of the marble and the plasticity of the forms all contribute to make it a work of perfect equilibrium. 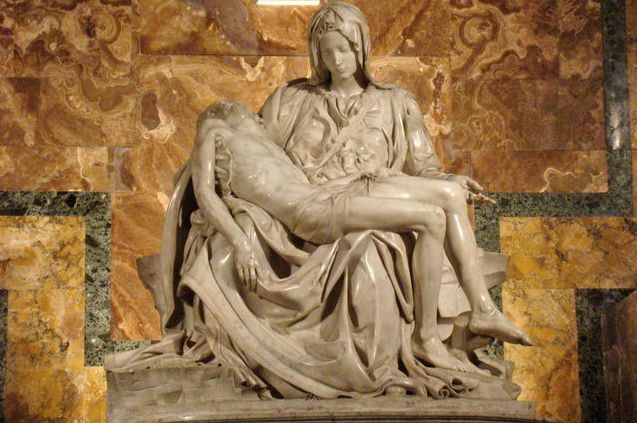 The absorbed expression on the face of Mary reveals her withheld grief; the body of Jesus. 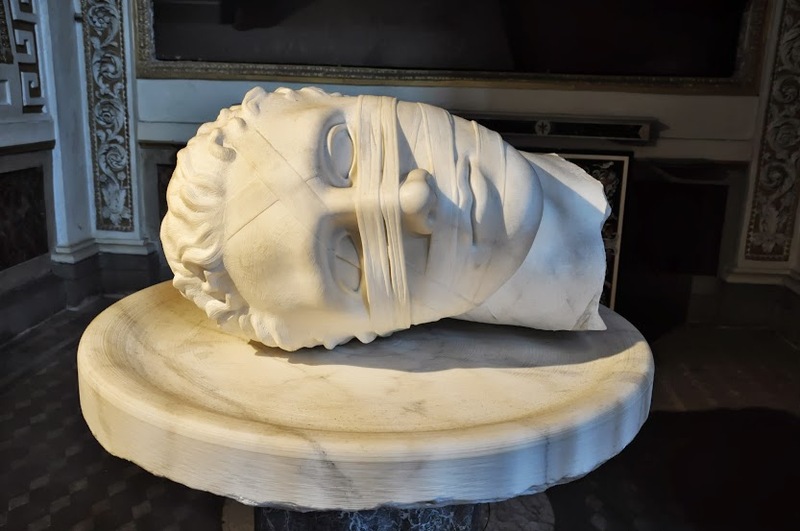 surrendered in exhaustion to the immense pain it has borne, brings the holy scene into the dimension of humanity; the fineness of the garments, the monumental composition and the perfecrion of the Features and anatomy endow the scene with a divine aura and timelessness. 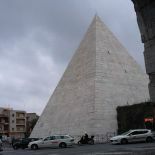 Perhaps it was this «absolute» beauty which led to the famous episode so frequently mentioned since, when, on Whit Sunday, May 21 1972. a madman attacked the group with a hammer, entailing a lengthy period of restoration to repair the damage and ﬁll the holes. 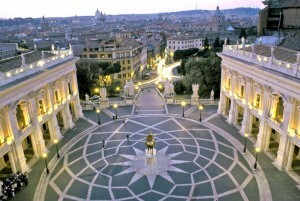 Palazzo Colonna is one of the oldest and largest private palaces of Rome. 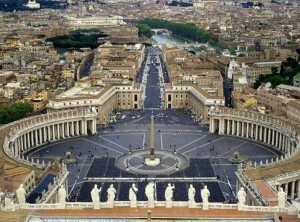 Its construction began in the fourteenth century by the Colonna family, who still resides there since eight centuries. 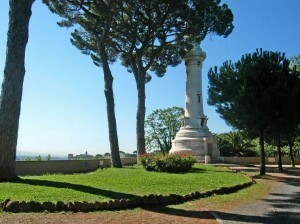 The Colonna family dates back to the twelfth century and comes from the town of Colonna, near Rome, from which it takes its name. The construction of the various wings of Palazzo Colonna lasted for five centuries. This has led to the overlapping of different architectural styles, interiors and exteriors, which characterize and reflect the different periods. From 1300 to 1500 it acted as a family fortress. Oddone Colonna, elected Pope on November 11, 1417 under the name of Martin V, appointed the Palace as the Pontifical Seat and lived there from 1420 to 1431, the year of his death. 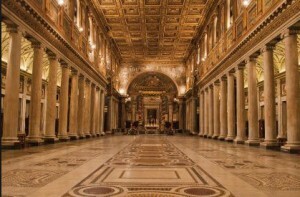 In those ten years, within the austere rooms of Palazzo Colonna, Pope Martin V designed and implemented a great plan for a cultural, urban and administrative rebirth of the city of Rome, which lay in devastating conditions after the period of papal exile to Avignon and the Western Schism. In 1527, during the sack of Rome by the troops of Emperor Charles V, Palazzo Colonna was one of the few buildings that was not destroyed due to the good relationship of the family with the Empire. 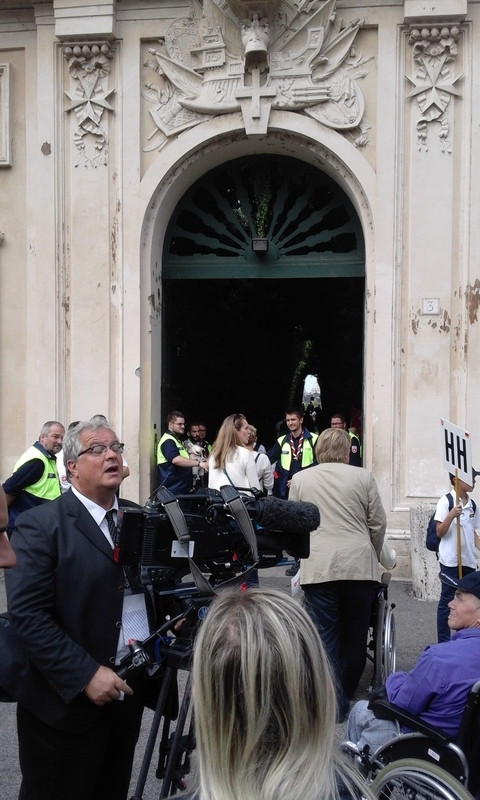 Instead, it offered a safe haven for more than three thousand Roman citizens. 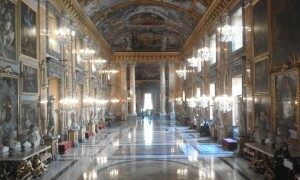 Throughout the 1600s, the Palace took the form of a large Baroque palace at the will of three generations; the leading family members being Philip I, Cardinal Girolamo I and Lorenzo Onofrio, who relied on architects and artists of great skill and reputation. 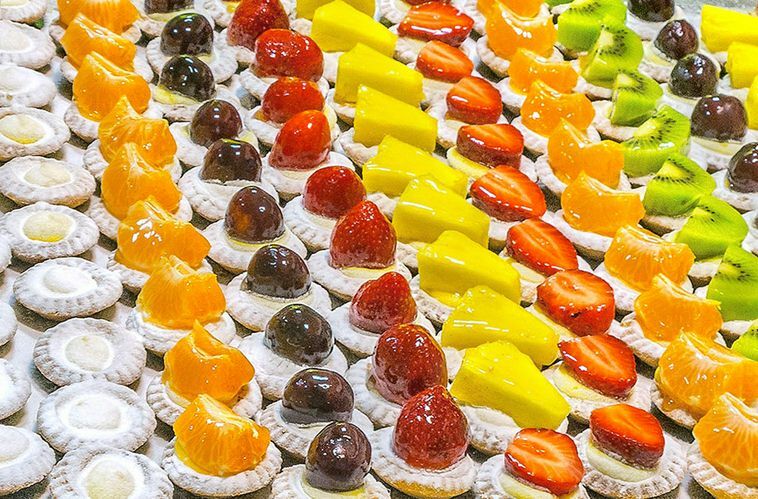 In fact, Gian Lorenzo Bernini, Antonio del Grande, Carlo Fontana, Paolo Schor, and many others, all lent their expertise. Also during this time was the construction of the beautiful and majestic Galleria Colonna, which has 76 meters of length facing onto via IV Novembre. 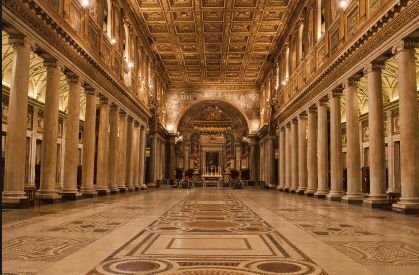 This authentic jewel of the Roman Baroque is now open to the public, with apartments of major artistic value that are most representative of the Palace. 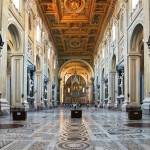 Atruejewel of Roman the Baroque, the Galleria Colonna was commissioned in the mid 1600s by Cardinal Girolamo I Colonna and his nephew Lorenzo Onofrio Colonna. It was inaugurated by Lorenzo Onofrio’s son, Philip II, in 1700. The original project is by the architect Antonio del Grande; it was then integrated by Gian Lorenzo Bernini, Paolo Schor and Carlo Fontana in the last decade of the 1600s. From the very beginning, the Gallery was conceived as a large boardroom, which was to celebrate the victory of the Christian fleet over the Turks at the Battle of Lepanto in 1571. The commander of the Papal fleet, Marcantonio II Colonna, is depicted numerous times throughout the vault of the Great Hall of the Gallery and in the Room of the Battle Column. The fresco on the vault above the Room of the Battle Column is by Giuseppe Chiari and depicts the presentatiou of Marcantonio to the Virgin Mary in heaven. The room takes its name from the column of red marble on a pedestal in the center of the room, which recalls the family coat of arms. Its inlays have reminiscent scenes of ancient Roman life.